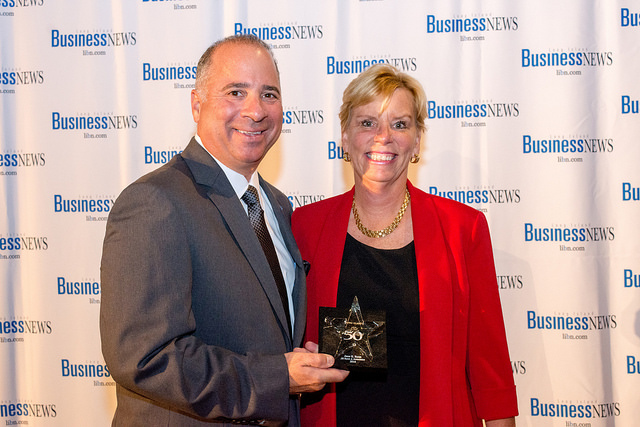 In 2016, Jane was selected for the second time for this prestigious award from the Long Island Business News. It was a true honor! 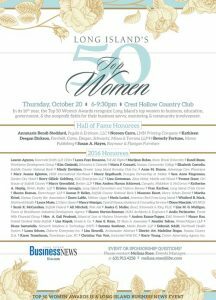 Launched in 2000, the Top 50 Most Influential Women in Business program has recognized the Island’s top women professionals for business acumen, mentoring and community involvement. The program’s honorees are selected by a judging committee and receive a unique crystal memento at the elegant dinner attended by more than 600 of the Island’s top business leaders, and represent the most influential women in business, government and the not-for-profit fields.